Depict the behind the scenes creation of an aerial circus arts academy producing their first original live stage production. The twist here was that all the performers had full time day jobs—housewives, financial advisors, graduate students, bakers, coffee shop owners, a myriad of the cultural diversity of NewYork City converged into a fantasy world complete with aerial acrobatics, Chinese pole stunts and a host of acts serving bodily contortions set to a musical score as eclectic as the scenery and physical beauty of the production. The story here was not so much about the story of Takura, but about the people that worked their day jobs and then trained, rehearsed and perfected deft defying acts while dangling 30 feet in the air with nothing more than brightly hued silk ribbons holding them from near certain contact with the ground below. Our DP, Chase Bowman got in the grove early on and captured moments that linger in the mind like a haunting poem. The struggles, mishaps, accidents, the confessions of doubt, the servitude to forge on, the emotional impact that too often bruised more readily than bodies slammed to the ground. 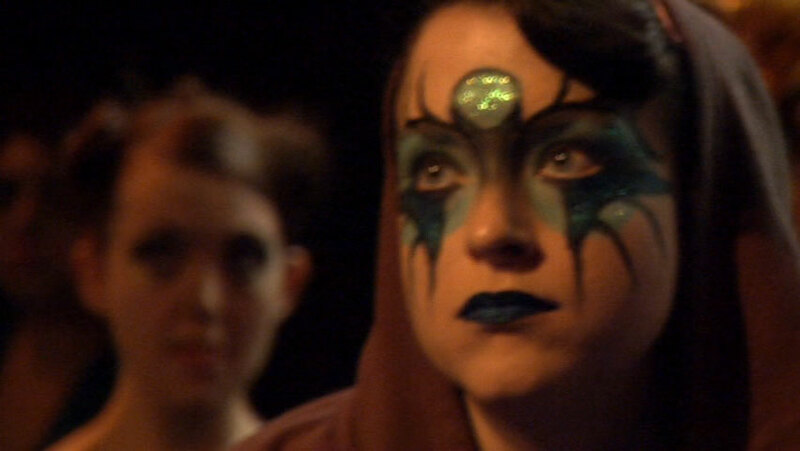 Shot on location atThe NewYork Circus Arts Academy and Baruch College in Manhattan.